Zork, Hitchhiker’s Guide to the Galaxy, and all the other Infocom text adventures are much more clever than the appear at first glance. They actually run on a virtual machine, with all the code for the game files squirreled away in the Z-machine format. This is great if you’re writing a game for a dozen platforms; once you have an interpreter running on one system, the entire library of games can be shipped out the door. While the Z-machine has been ported to all the retrocomputers you can imagine and a few different brands of microcontrollers, no one has yet implemented the Z-machine in hardware. There’s a reason for this: it’s crazy. Nevertheless, [Charlie] managed to implement the Z-machine in an FPGA, using only a few extra commands for driving a display. 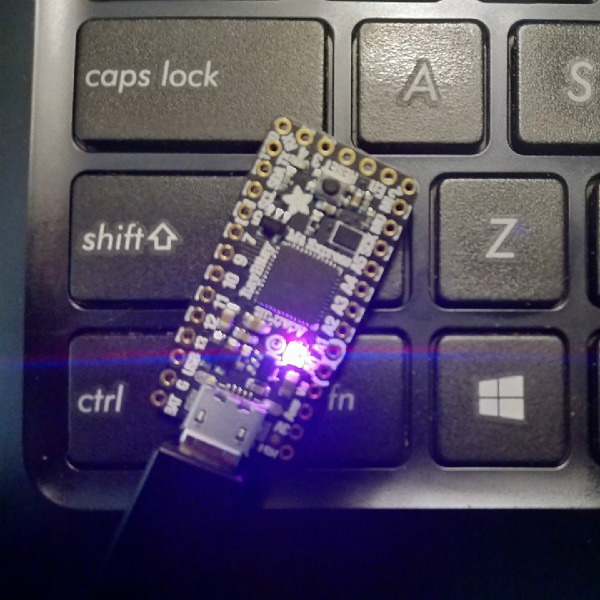 The circuit is constructed with a $10 eBay special FPGA, the Cyclone II EP2C5. Other than that, it’s just some Flash, some RAM, a display, and a whole lot of wire. 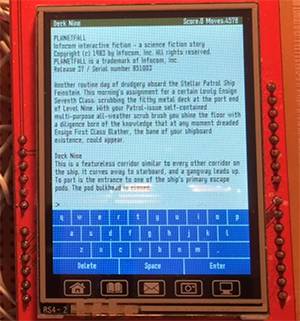 The standard Z-machine spec is followed, version 3 specifically, meaning this text adventure on a chip can run nearly every Infocom game ever written. The most popular ones, at least. This isn’t [Charlie]’s first time in the ring with the Infocom Z-machine. He ported the Z-machine to a freakin’ pen a few years ago. You can check out [Charlie]’s video demo below. Because there was a bit of extra space in the FPGA, [Charlie] managed to put a Mandelbrot implementation and Space Invaders in as an easter egg.